Iain Hearfield is a blues rock musician who has been recording and performing for more than forty years. His latest release, Blues Station Zebra is a dark and stormy night somewhere in an alley, in a seedy part of London. 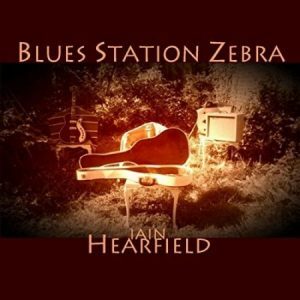 Released in Oct 2017, Blues Station Zebra is the 6th CD released by the UK-based Hearfield. It contains 14 original tunes, recorded between 2013 and 2017, on which Hearfield played all of the instruments. This is a very interesting CD. 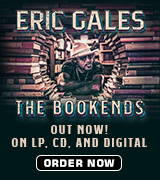 It’s not what you would consider a typical blues CD by any stretch, but its blues influence is unmistakable. It harks back to the British blues rock scene of the late 60s, with bands like Savoy Brown, early Fleetwood Mac, John Mayall’s Bluesbreakers, and even early Led Zeppelin. Working with themes that might be ripped out of a pulp fiction novel or from your favorite film noir, Hearfield builds-up stories of the things that go on in the shadows of darkened, deserted alleyways, and builds a fairly descriptive story-line for each song. The songs themselves are moody and atmospheric, and the guitars feel as if they might have been tracked in the late 60s or early 70s, with multi-track layering, and generous amounts of reverb, delay, and varying degrees of distortion. The result is a very listenable collection of songs that are evocative of the past yet feel at home in the present time. The entire album feels to be of a piece, and the songs all hang together nicely. Evocative, right? The musical version of “The Chandelier Beat” is a hypnotic instrumental that formally opens the CD. It has a very theatrical feel to it, and could very easily be a soundtrack under the opening or closing credits of a TV series or film about mobsters and the underworld. Using what I presume to be a drum loop, synthesizers, and some ambient noises, accompanied by a reverb-drenched guitar track, Hearfield sets the tone for the entire CD and lets you know that this is not going to be your typical blues collection. The next track, “Mean Machine,” is the first with a vocal, with a narrative about a man of questionable ethics in a difficult situation. It’s punctuated by a pulsing, slapback drum groove, droning tremolo rhythm guitar, and yet more reverb-drenched lead guitar weaving in and out of the vocal. That aside, Blues Station Zebra is very enjoyable, and it has withstood repeated listening, with each subsequent pass providing a closer look at these story songs, along with Hearfield’s tasteful guitar playing. 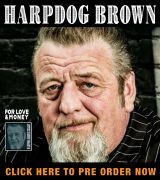 Maybe won’t fill the bill for blues purists but if you’re a fan of old-school British blues rock, keep your mind – and your ears – open, because there are some great grooves and interesting songs on this CD.